Look once, look again. This is not a butterfly taking a rest on a piece of shrubbery. 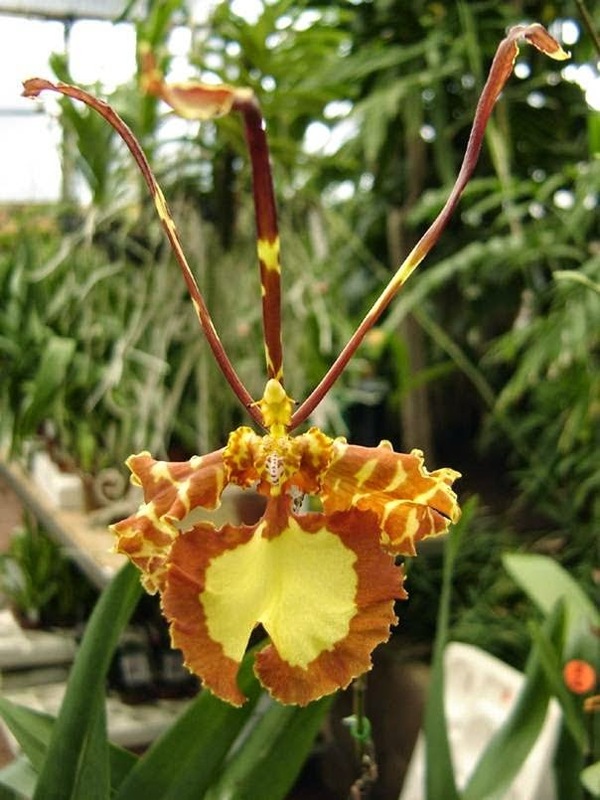 It is Psychopsis papilio – better known as the butterfly orchid. It has petals of an incredible length which look like antennae and its speckled brown and yellow sepals look like outspread wings. Little wonder that this amazing orchid reputedly started the orchidmania of the 1800s.